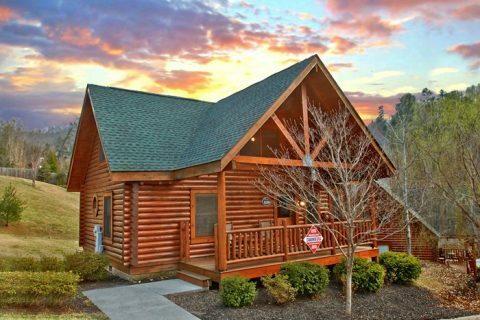 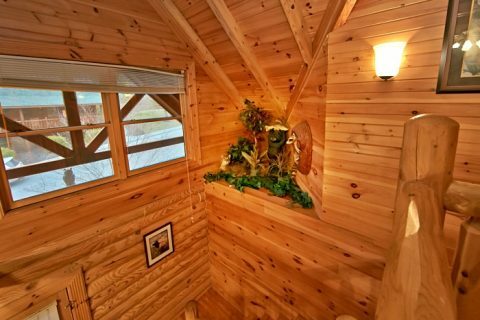 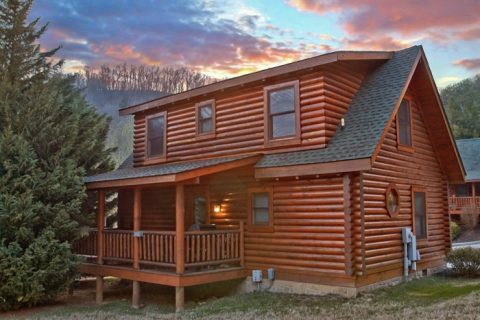 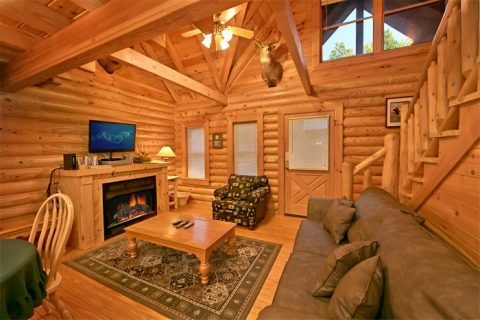 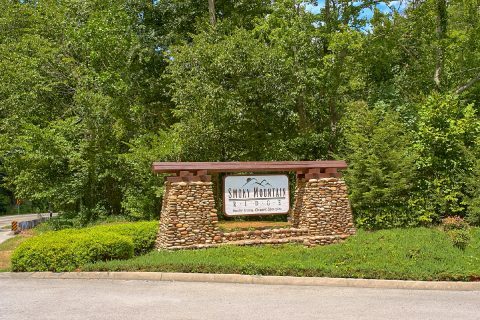 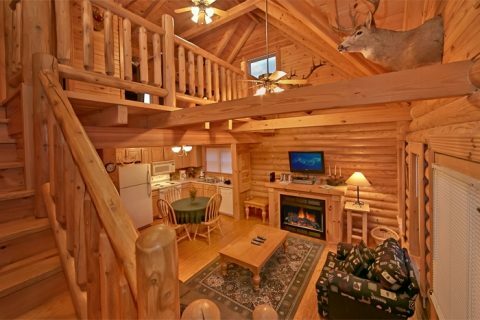 "A Rock Top Memory," located Smoky Mountain Ridge Resort, gives guests the opportunity to escape to the serenity of the Smokies as well as enjoy the convenience of a short drive to the area's top attractions, all from the comfort of this cozy Wears Valley cabin rental! 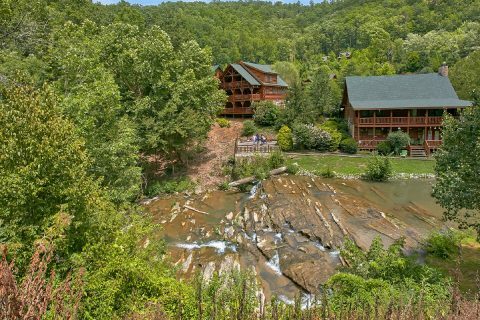 Smoky Mountain Ridge Resort in Wears Valley places visitors just a short scenic drive from downtown Pigeon Forge with several unique attractions along the way like the "Smoky Mountain Alpine Coaster" and "Goats on the Roof." 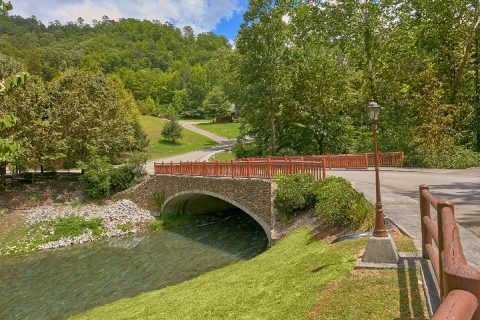 Wears Valley possesses its share of interesting attractions, restaurants, and mom-pop shops housing everything from antiques to unique locally crafted items. 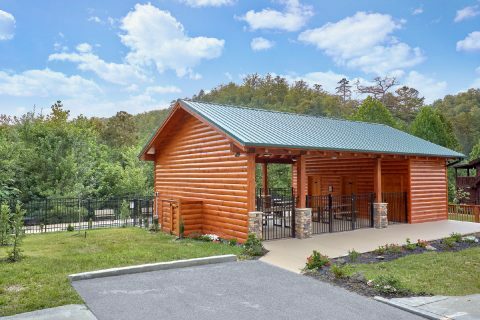 If exploring the great outdoors or historical landmarks are more of your interest, nearby Cades Cove contains many early settler structures scattered throughout the 11-mile auto-bicycle loop road, which is great for spotting the Smokies' native wildlife. 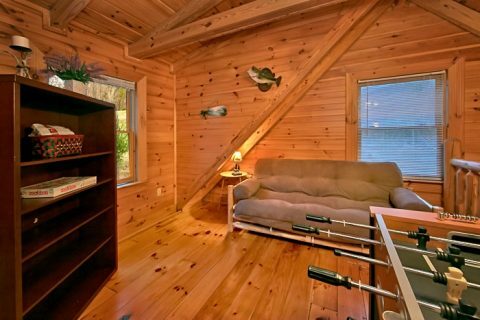 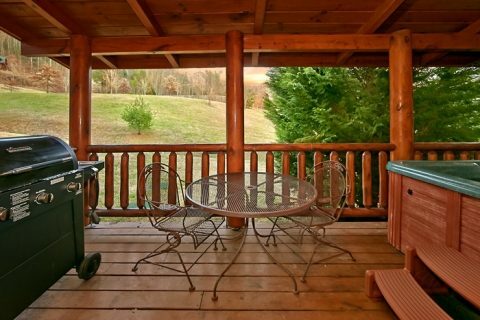 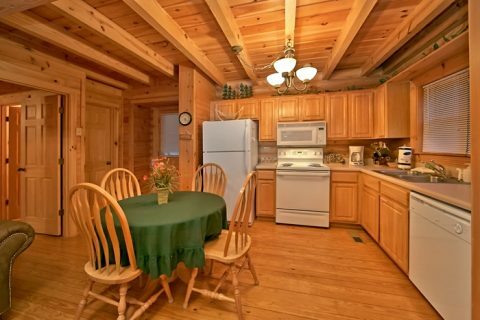 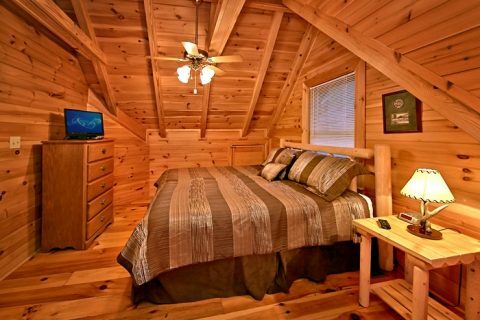 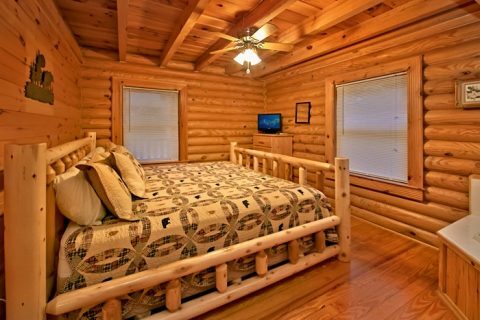 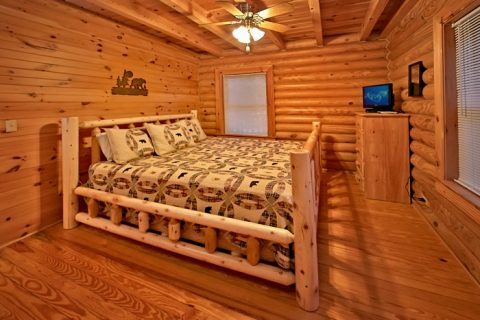 This cozy 2-bedroom Wears Valley cabin rental features king-size beds in each bedroom. 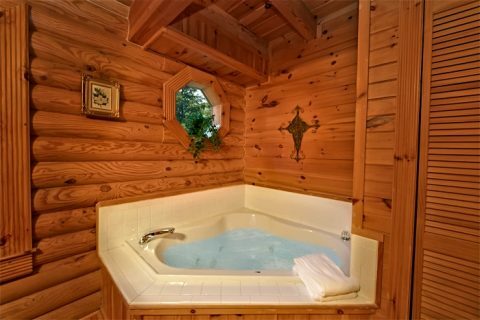 The master suite features an in-room jacuzzi. 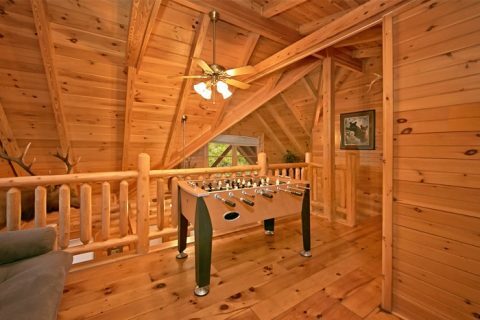 The cabin's loft boasts a custom made EZ-bed for additional sleeping space as well as a foosball table for a family game tournament. 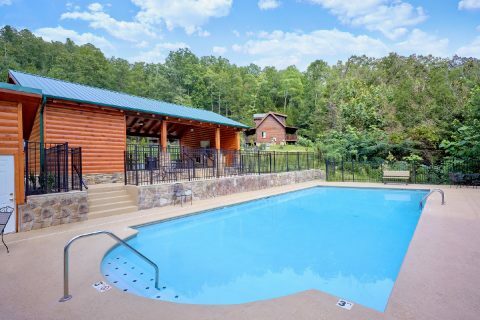 Keep the fun going with a dip in the resort swimming pool or your cabin's year-round hot tub! 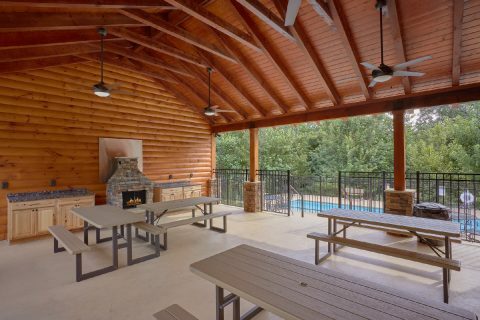 Host a cookout on the gas grill while relaxing on your cabin's deck, listening to the soothing sounds of nature. 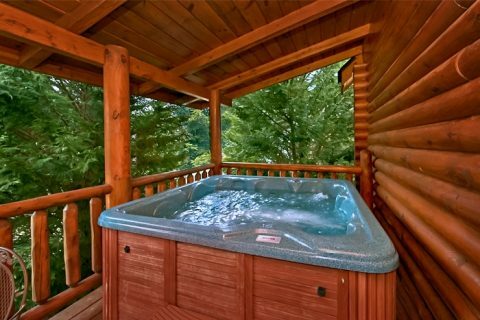 As the night approaches, take advantage of the jacuzzi tub or sit in front of the seasonal gas log fireplace while using the cabin's WiFi Internet to share your vacation with friends and family back home. 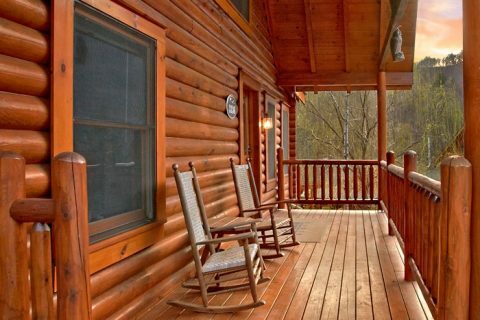 Whether needing a weekend getaway or summer vacation rental, book "A Rocky Top Memory" or another Wears Valley cabin rental in Smoky Mountain Ridge Resort online for your immediate Online Cabin Discount!